UO physicist Stephanie A. Majewski is among 35 U.S. scientists chosen to receive substantial funding for the next five years under the U.S. Department of Energy's Early Career Research Program. The program is designed to bolster the nation’s scientific workforce by providing support to select researchers during the crucial early career years, when many scientists do their most formative work. Majewski, an assistant professor and experimental particle physicist, joined the UO Department of Physics in 2012 after five years as a postdoctoral research associate at the Brookhaven National Laboratory. 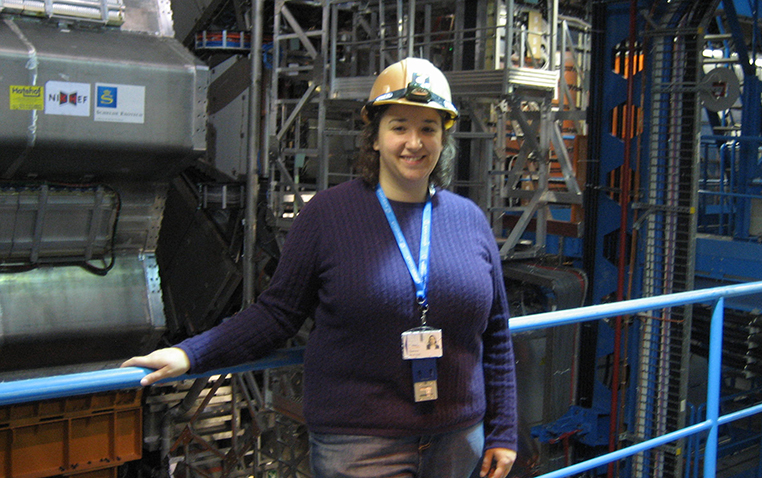 She was actively involved as part of the Brookhaven lab's team in the ATLAS experiment at the Large Hadron Collider in Geneva. She is continuing her work at ATLAS as part of her role at the UO, where she is a member of the Oregon Center for High Energy Physics.